Islam, like Christianity, is a supremacy religion. (1) Islam’s goal is to impose Islamic monotheism and then Shar’ ia on all peoples of the world whether by word (Da’wah) or force (Jihad). Since the end of the Ottoman Empire Muslims have formed dozens of groups whose goal is institute a worldwide Islamic supremacy by restoring the Caliphate. None have succeeded. Taqi ud-Din an-Nabahani (1909-1977) began Hizb ut-Tahrir al-Islami (The Party of Liberation) in 1953 in Al Quds (Jerusalem). An-Nabahani enrolled in both the al-Azhar University and the Dar-ul-Ulum college of Cairo at the same time and graduated from both. He received the Universal Shar’ ia Diploma and went on to become a Palestinian law clerk. While An-Nabahani was employed at the Ibrahimiyya School al-Nabhani he contacted a number of people in the hopes of starting a political party. Eventually, Hizb ut-Tahrir al-Islami was formed with the help of Dawud Hamdan, Ghanim Abduh, Munir Shuqayr and Dr. Adil al-Nablusi. From its humble beginnings in Al-Quds, Hizb ut-Tahrir has spread into forty-five countries being most prevalent in Central Asia. Generally, it is believed that HuT has been operating in the United States for about ten years. It is called Hizb ut-Tahrir America (HTA). Hizb ut-Tahrir was created to be the instrument which will restore the Islamic state called the Caliphate and unite the Ummah. Hizb ut-Tahrir believes that, in this case, restoring the Caliphate is a collective obligation (fard kifayah) of the Ummah. To that end Hizb ut-Tahrir has created a sophisticated party structure in which the Islamic Aqeedah has been ingeniously fused with a neo-Marxist-Leninist party structure. 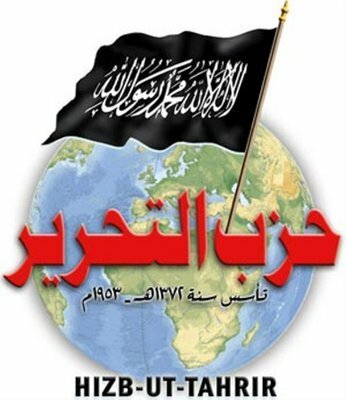 In addition, the Hizb ut-Tahrir organization has produced numerous leaflets and books outlining the party’s goals, the Caliphate’s structure, the means and methods the party will use to reach the Caliphate’s restoration and, most importantly for non-Muslims, how the Caliphate will affect the individual who refuses to accept Islamic monotheism. Hizb ut-Tahrir al-Islami claims the party will achieve its goal of restoring the Caliphate peacefully. Yet, Hizb ut-Tahrir argues that once the party structure is in place and the party has interacted with the Ummah causing her to resent her colonial overlords, the Ummah will rise up and overthrow her colonial masters. Once the Islamic nations have thrown off the colonial yoke the Ummah will be free to take Islam to the whole world through Da’wah (word) and jihad (force). Hizb ut-Tahrir teaches that prior to battle jihad is a collective obligation (fardh kifayah) and becomes an individual obligation (fardh ayni) once the battle has been joined. The battle, though, cannot be joined, much less started, until the Caliphate is restored. Jihad is to be used sparingly and circumspectly. The Caliphate will use Da’wah first offering non-Muslims the opportunity to convert or become Dhimmis. Jihad is to be used against those who refuse to convert or become Dhimmis. The primary purpose of jihad is to give the Caliphate one main tool that it can use to remove any outstanding obstacles to the final, worldwide imposition of the Aqeedah. The last obstacle to the worldwide imposition of the Caliphate is the Kufr or polytheist. Hizb ut-Tahrir believes it is theocratically permissible to force Islam on no n-Muslims killing those who refuse to accept Islamic monotheism. 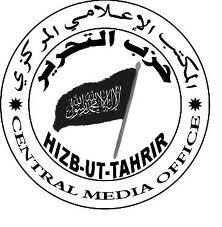 Hizb ut-Tahrir has been declared a terrorist organization in numerous countries while being viciously hunted in a number of others. The United States Federal government, though, refuses to black-list Hizb ut-Tahrir al-Islami as a terrorist organization. 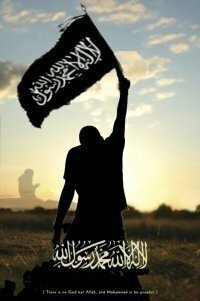 Therefore, Hizb ut-Tahrir operates freely within our borders holding conferences and recruiting and conducting Islamic soldiers to various terrorist organizational structures despite its virulent anti-Western propaganda, terrorist activity in other nations and its continued call for armed conflict or jihad. Hizb ut-Tahrir is not a peaceful organization any more than Islam is a peaceful religion. The organization’s goal is to impose Islamic monotheism and Shar’ ia on non-Muslims by Da’wah. If a non-Muslim rejects the Da’wah then the Caliphate can use jihad to remove the obstacle. Hizb ut-Tahrir must be exposed and stopped or we risk losing our Constitutional Republic. 1) A supremacy religion is a religion which believes (1) there is only one God (monotheism; Deuteronomy 6:4; 59:022), (2) it is to be spread to the whole world (Mark 16:15-16; Al-Anbiya’ 21:107), (3) everyone in the world ought to follow it (John 3:16-17; At-Tawbah 9:033) and (4) it is the one and only religion (Acts 4:12, John 14:6; Aal-‘Imran 3:095). Of the three monotheistic faiths Judaism is the only religion which does not actively share its faith with the world. Islam and Christianity both do. There are many, many differences between Islam and Christianity especially each group’s definition of monotheism. One big difference between Islam and Christianity is how the message is to be spread. Islam and Christianity believe the message ought to be spread through reasons and proofs (Acts 19:8; Al-Baqarah 2:039 [ayats]). Islam differs from Christianity because it also believes the message can be spread violently (jihad; At-Tawbah 9:029) and deceptively (taqiyya; Bukhari Vol 4: 269).